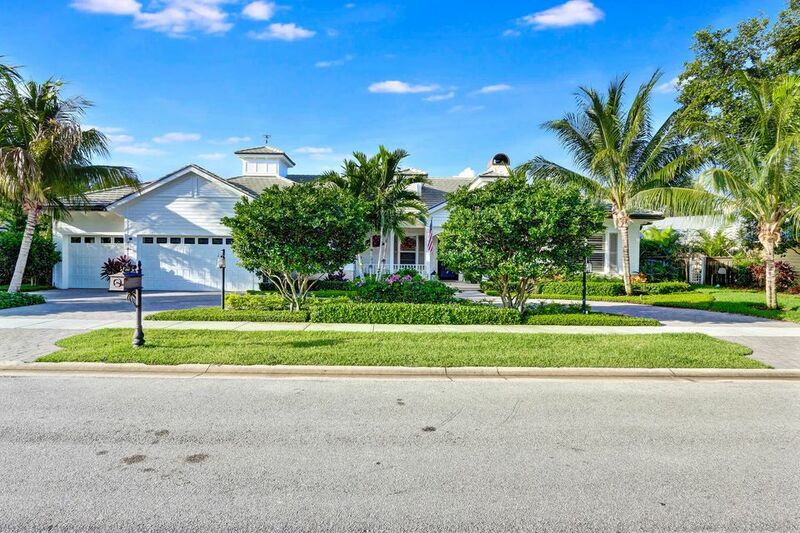 'Coastal Living' in the heart of Palm Beach Gardens. No detail was spared on this CUSTOM BUILDER'S OWN HOME! Beyond the unparalleled attention to detail, this highly efficient house offers 4 bedrooms, 3.5 baths along with a 3-car garage and spacious office.Inside this great room home is an immaculate, well-appointed kitchen with commercial appliances, marble countertops, remarkable storage and high-end cabinets. The oversized kitchen island also serves as a 4-person bar top.If the ample amount of indoor storage isn't enough, the icynene-insulated attic is a stand up height 8x20 shelved storage room that maintains noticeably cool temperatures.This home's impressive features are extensive; see documents for a complete list. LOW HOA community shares Intracoastal access day dock.